The martyred heroine of France fought and defeated the English at Orléans, was captured and taken prisoner in Burgundy, and put on trial and burned at the stake—all by the age of nineteen. Depicted as neither witch, saint, nor madwoman in Shaw’s compelling story, Joan of Arc is but an illiterate farm girl whose focus on the individual rocks the church and state. 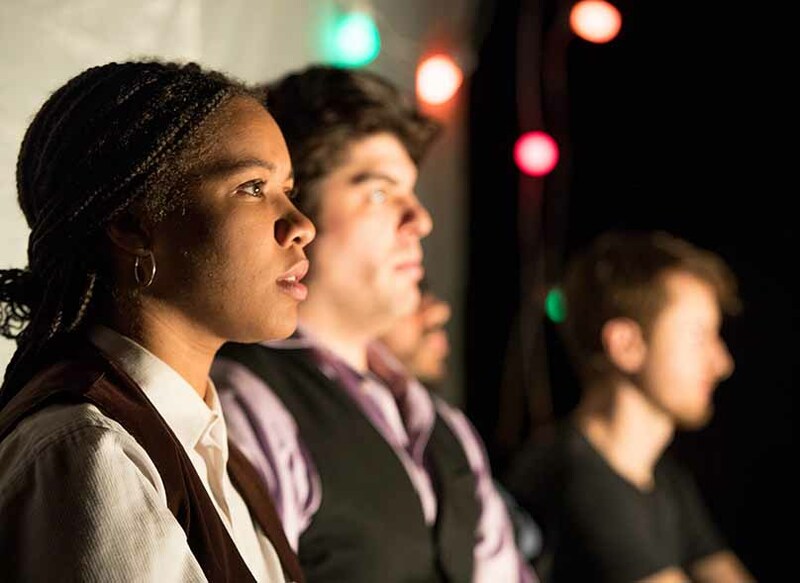 Led by director Eric Tucker, four actors perform over twenty-five roles in Bedlam’s riveting, stripped-down production, declared “Irresistible!” and “a force of nature” by The New York Times (Best of Theater, 2014) and a Top Ten Play by Time Magazine. Seating for Saint Joan includes additional seating on stage. Please see the seating chart for locations. Take a look at the Saint Joan Photo Gallery. 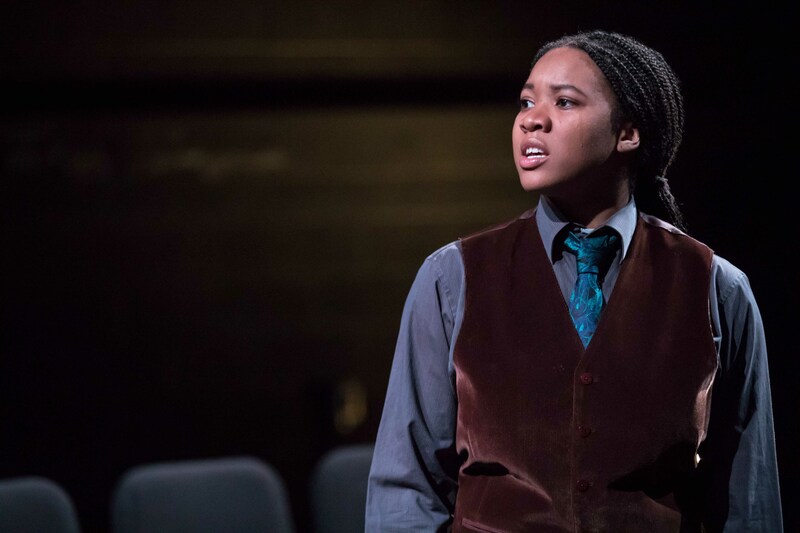 Consider joining us for a special performance of Saint Joan to enhance your theater-going experience. Saint Joan is presented by special arrangement with Samuel French, Inc.
Saint Joan will be performed with two intermissions. Running time is approximately three hours. 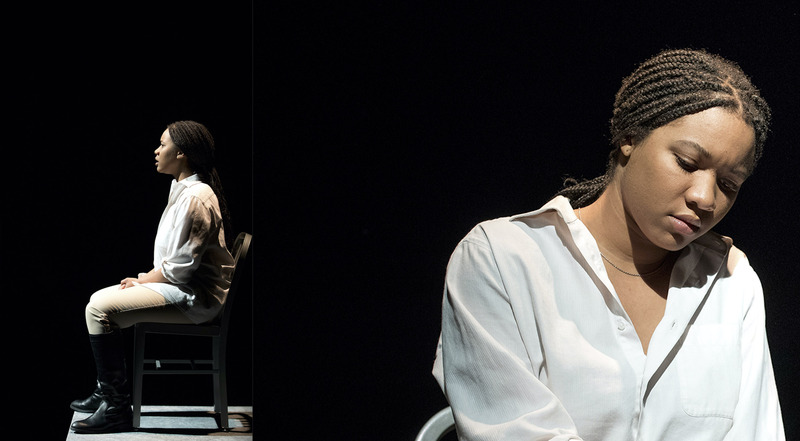 Scroll down the page to view images from Bedlam's national tour production of Saint Joan. Please note: We’re hard at work restoring our historic building’s marble façade. As a result seven parking spaces on 3rd Street, SE, just south of its intersection with East Capitol Street, will be unavailable for public parking. Learn More. This program is part of the European Month of Culture in May. Read through the Playbill for Saint Joan.